“In victory one deserves it, in defeat one needs it,” said Napoleon, referring to that most exquisite of all things French: champagne. Both a muse and a pleasure, the delicate sparkling wine has become a synonym for luxury and the enjoyment of the finest things in life, while many have written songs and poems about its glittering foam and ability to instantly raise the spirits of its drinker. 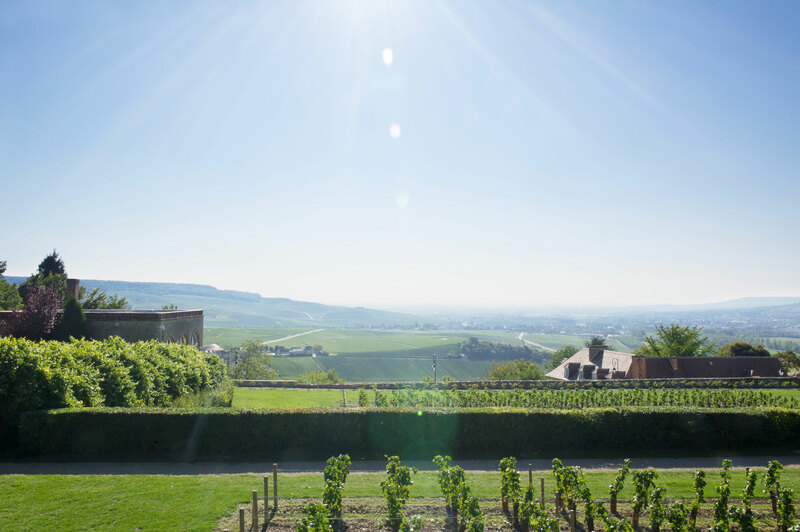 Although many enjoy drinking it, the secrets of its production are known by only a handful of expert winemakers in the Champagne region in north-western France - one such example being the team behind the vintage champagne brand Dom Pérignon. Curious to “decode” the secrets and mysteries behind Dom Pérignon’s unique taste and character, the house’s cellar master Richard Geoffroy has teamed up with celebrated chef and gastronomy expert Ferran Adrià in order to apply a rigorous, scientific research method on the production and consumption of their wine. 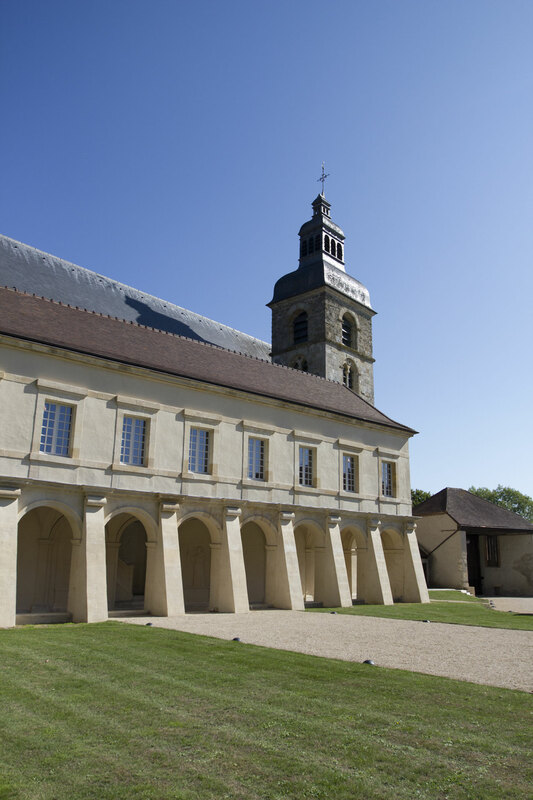 Their aim: to discover what makes Dom Pérignon the wine it is and envision how it could possibly evolve in the years to some. The view from the Abbey of Saint-Pierre in Hautvillers, France, photo by Costas Voyatzis for Yatzer. Named after a 17th century winemaking pioneer and monk at the Benedictine Abbey in Hautvillers, France, Dom Pérignon is the prestige cuvée of Moët & Chandon and was first produced in 1921. As an exclusively vintage champagne, Dom Pérignon is different from a regular champagne in many aspects. 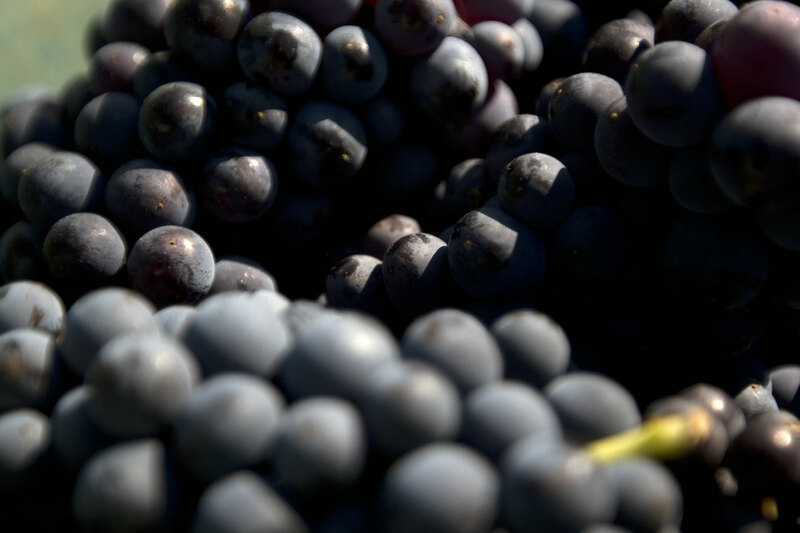 For example, it isn’t ever produced in weak years, and all of the grapes that are used to make the wine need to be harvested in the same year. 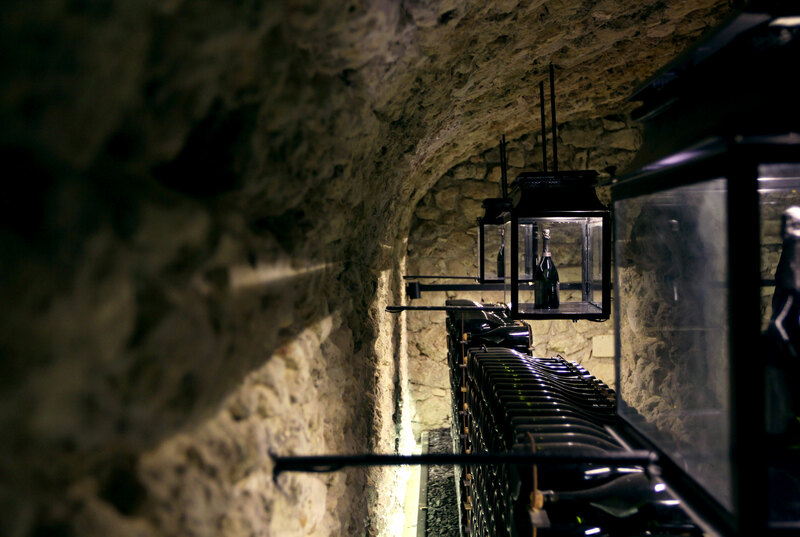 As the conditions for producing vintages are not met that often, the wine is rarely produced regularly every year; in fact, only 40 Dom Pérignon vintages have been produced between 1921 and 2005, which means that each batch is unique and full of distinct traits and characteristics. Although Dom Pérignon is mixed and produced like all other champagnes of its league, Ferran Adrià told us there are certain characteristics that are completely different, and those are what makes it stand out as a brand. The Abbey of Saint-Pierre in Hautvillers, France, photo by Costas Voyatzis for Yatzer. Come quickly, I'm tasting the stars! Dom Pierre Pérignon exclaimed when he first tasted champagne. Wall relief sculpture of French Benedictine monk Dom Pérignon (1638-1715), cellarer of the Abbey of Saint-Pierre in Hautvillers, France. Location, Abbey of Saint-Pierre, Hautvillers, France, photo by Costas Voyatzis for Yatzer. 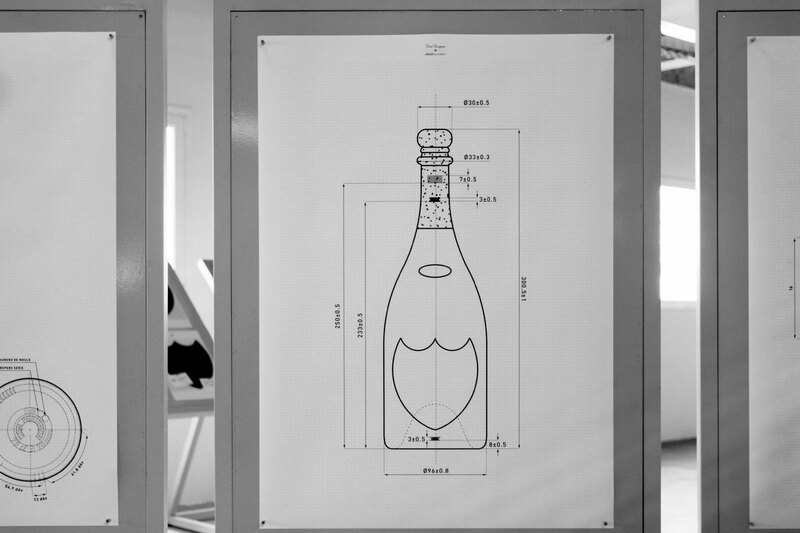 As part of their three-year “Décoding” project, Geoffroy and Adrià have set up a special “Dom Pérignon Decoding Lab” at the latter’s elBulli Foundation, a gastronomy and epistemological research centre in Barcelona, Spain, employing some 70 people. 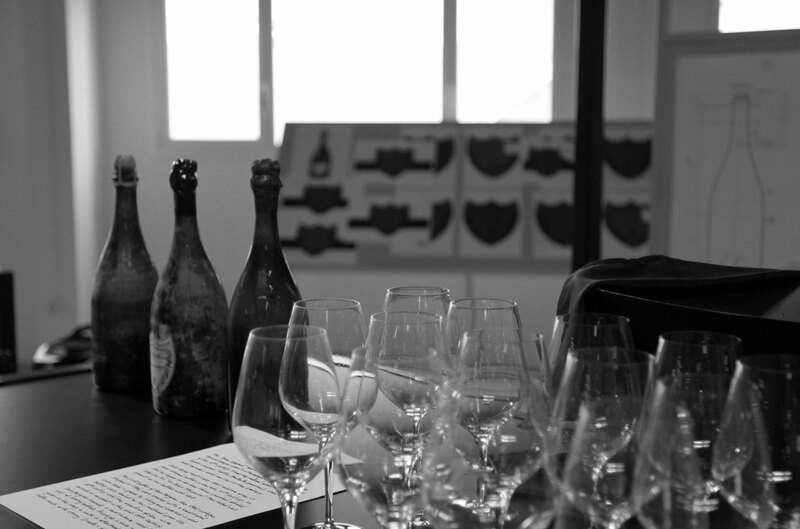 There, a team of experts can be found busy implementing Ferran Adrià’s Sapiens research methodology which involves historical research and analysis of the Dom Pérignon wine, as well as actual tastings of each vintage, documentation of the conditions of the year it was produced, and so on. Gradually, a large map of different tastes and wine attributes is being created on a wall in the lab, where strings of different colours link vintages from different years; all this data will of course prove extremely useful for any future analysis of the evolution of Dom Pérignon and will possibly reveal patterns in tastes and aromas that run across the wine’s history. “It’s not a marketing operation,” Adrià told us during our visit to the Foundation last April; “it’s something really serious, and you understand that only when you come to the Decoding Lab and see all the people working really seriously on this.” According to the great chef, it will probably take two or three years before the decoding actually yields any substantial results and is a process that may never end as long as new vintages are being produced. 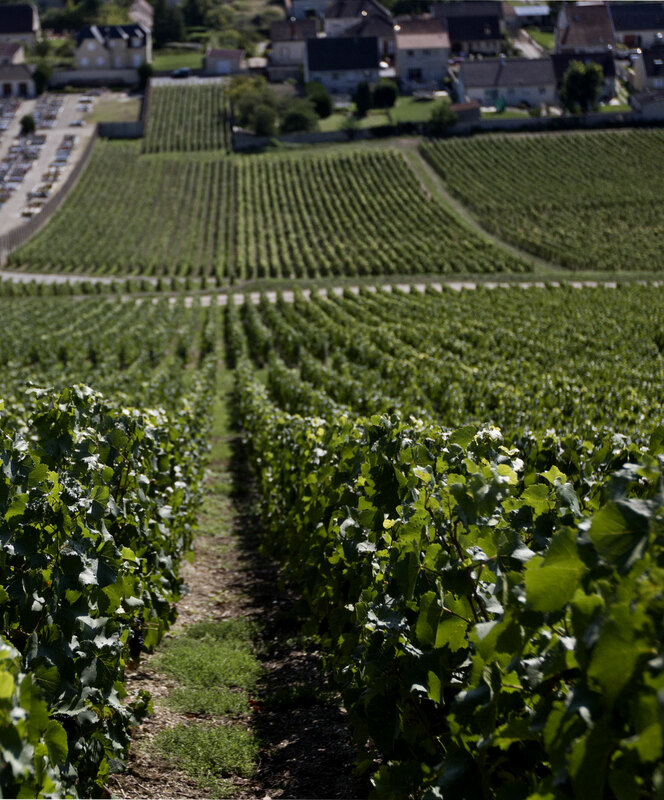 Dom Pérignon 'Pinot noir' vineyards in the Champagne region of France. Photo by Costas Voyatzis for Yatzer. For cellar master Richard Geoffroy, there’s more to understanding the wine’s secrets than just tasting it, as he points out that there are three essential elements of a Dom Pérignon vintage: the wine, the bottle, and the people. As the actual tasting experience is of course the main goal of every winemaker, Geoffroy also stresses the importance of placing the senses at the centre of the whole “décoding” process and the objective behind a series of events that took place in Barcelona and Hautvillers, in April and September respectively. 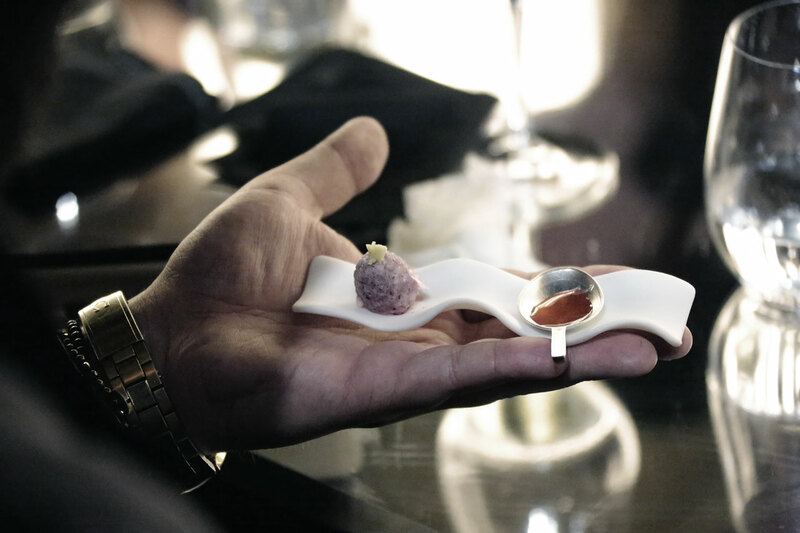 In Barcelona, an “experimental experience” was orchestrated, where the conventional relationship between wine and food was inverted: “Usually wine accompanies food,” says Adrià. “When we go to a restaurant, we have to accept that that’s the way it is. But with Richard, we wanted to create an experience where Dom Perignon becomes the sun and around it we would have food. The food is thus like satellites around the wine.” During this tasting event that bore the title “THIS IS NOT A DINNER”, these little “satellites” took the shape of no less than 29 “snacks” as they called them, which complemented or highlighted the attributes of a 2005 Dom Pérignon vintage. The most memorable of these tiny explosions of taste had to be a small sheet of parmesan that was paired with edible hibiscus flowers - eating this was like tasting heaven! Dom Pérignon blind vintage champagne tasting at the Abbey of Saint-Pierre in Hautvillers, France. Photo © Dom Pérignon. Dom Pérignon champagne cellars at the Abbey of Saint-Pierre in Hautvillers, France. Photo by Costas Voyatzis for Yatzer. THIS IS NOT A DINNER, Dom Pérignon x Ferran Adrià decoding process, Barcelona April 2015, photo by Costas Voyatzis for Yatzer. 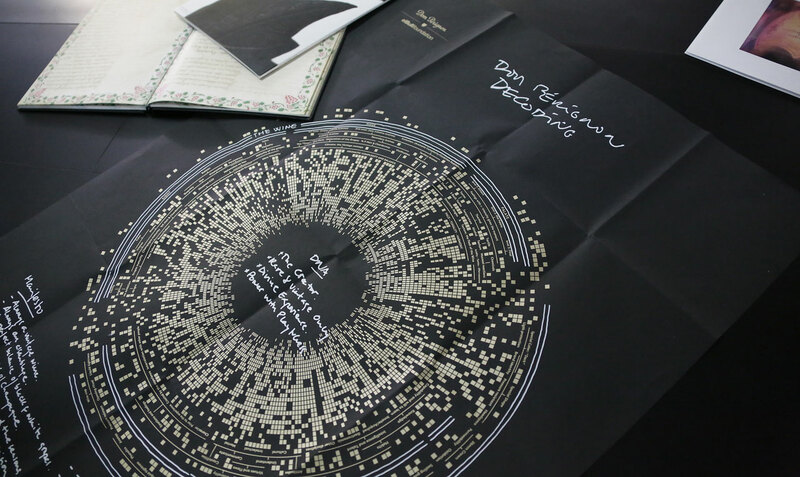 Dom Pérignon x Ferran Adrià decoding process, Barcelona, April 2015, photo by Costas Voyatzis for Yatzer. 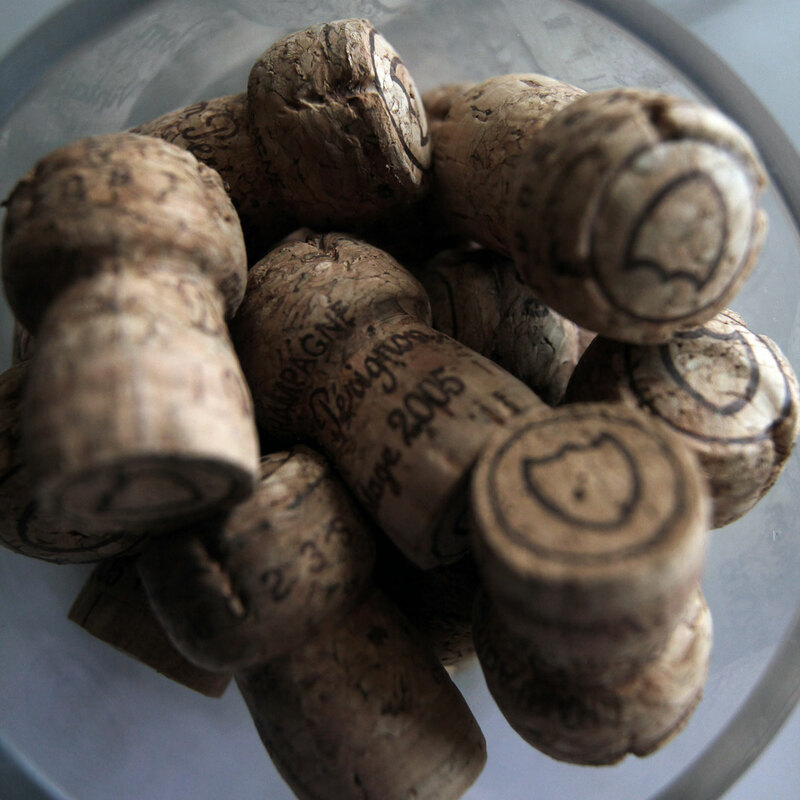 Dom Pérignon vintage 2005 corks, Barcelona, April 2015, photo by Costas Voyatzis for Yatzer.